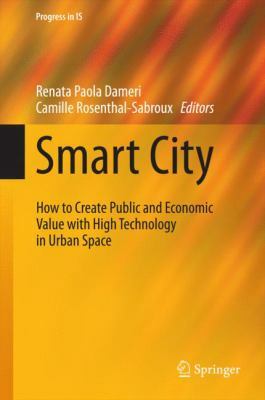 Renata Paola Dameri graduated in Economics in 1990, she is Assistant professor in Business administration at the University of Genova, Department of Economics. She has been teaching ERP Systems, Business administration, Accounting Information systems, Management Information systems, Managerial accounting, Financial Accounting. Member of the local Government of the Municipality of Genova, at present personal assistant of the Mayor about territorial development and Smart city. She is Author of several international publications, Editor of international and national volumes and Referee of several scientific international journals. Director of the Master in Entrepreneurship and management, her main research interests are Information systems in companies and in the public sector, financial reporting, smart cities. Camille Rosenthal-Sabroux is full Professor at Dauphine University, Paris IX. She is a graduate of PHD Pierre et Marie Curie, Paris VI, (1971) and HDR (habilitation à diriger des recherches) in Computer science. Her main research topics are: Modeling Language (UML), Decision Aid, Knowledge Acquisition, Knowledge Management, and Information System. Director of the Master “Extended Company's Information System: Audit and Consulting ”She published several books and articles.